Kanasai one.... I never see celebrity got this Thick Face one. 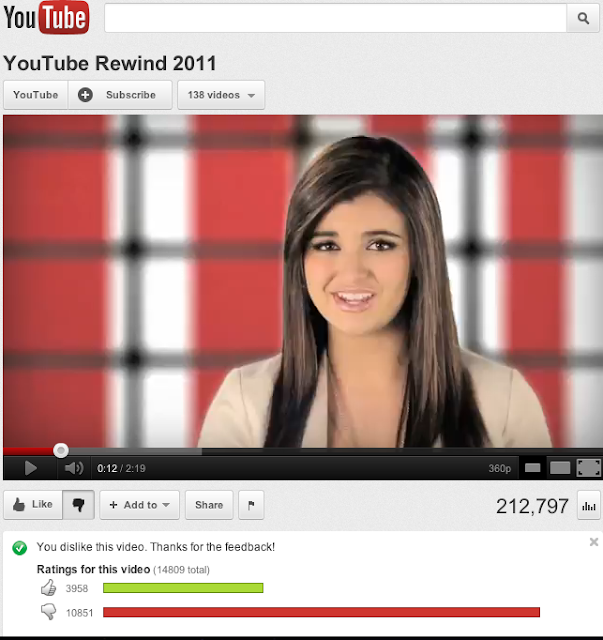 Check out this video the Youtube Rewind 2011. Is host by Rebecca Black. I sure you click the "Dislike" after you finish watching the video. I'm the number 10851 person who click "Dislike" and is rising up every second and minute! From the top 10 to number 2 you still can accept.. sekali you see the number 1 video in Youtube sure you not gonna like it one!! !